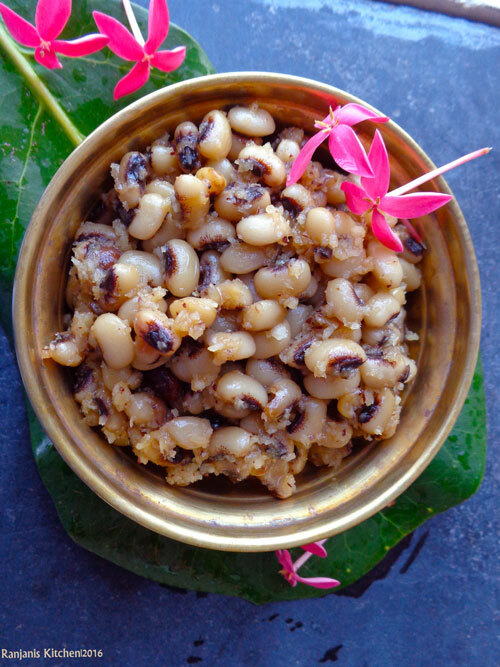 Karamani Sweet Sundal – sweeter version of lobia seeds. 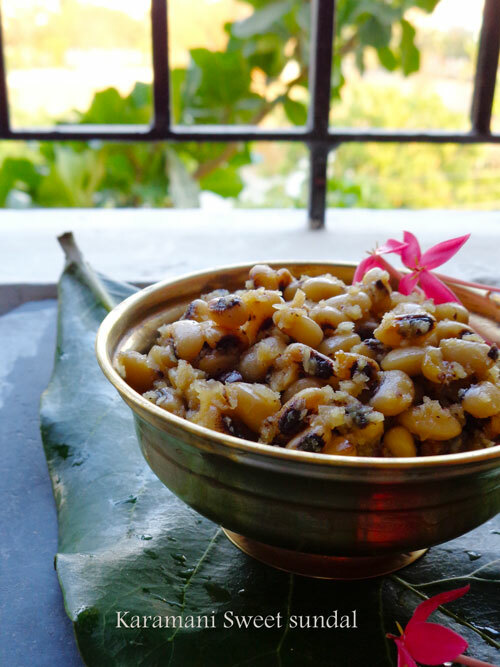 It is used to prepare in Navaratri time for neivaidhyam and to serve for guests. 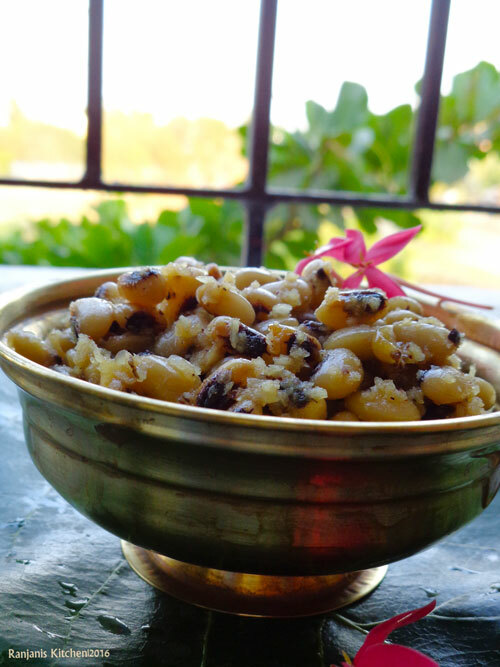 You can make this anytime as it is protein rich food and can serve for all ages.we can prepare karamani sundal recipe both in sweet and savoury version. Check out the health benefits of lobia seeds. Soak karamani (cowgram) overnight or 4 to 5 hrs in water. Rinse well and pressure cook for 3 to 4 hisses with 1 cup of water and a pinch of salt. 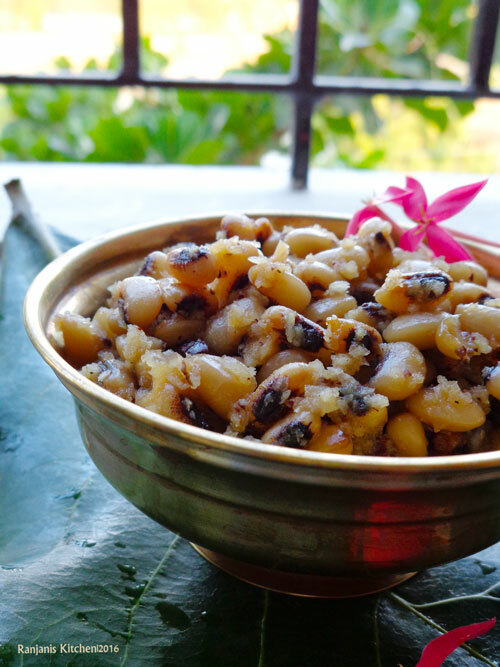 Heat a kadai, add jaggery (vellam), after it melts strain using a filter to remove impurities. Heat the syrup in the same kadai. Add cooked dal and mix well. Add cardamom powder, shredded coconut and give a quick stir.Turn off the flame and serve hot. We can use any dals like red gram, horse gram or green gram in the same method. Adjust jaggery as of your taste. Add a pinch of salt to enhance the taste. Salt always works well on sweets. Thanks for share the delicious recipe.